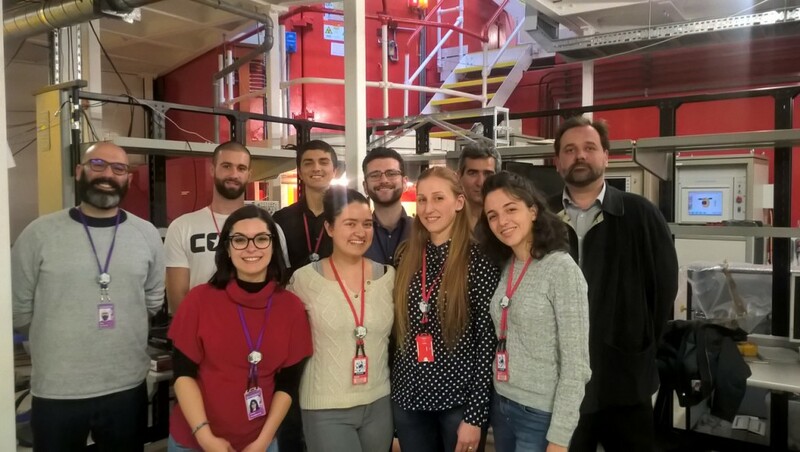 Six master students of the University of Rome Tor Vergata received a hands-on training in neutron scattering as part of the course on “Modern Applied Physics”, under the guidance of Prof. R. Senesi. They had the possibility to gain experience working in the scientific environment at the STFC -ISIS, a large scale international neutron research facility located at the Rutherford Appleton Laboratory in the UK. Aurora Zaganelli, Valerio Scacco and Giulia Campa have analysed the VESUVIO and ChipIR beamlines activation decay acquired with an High Purity Germanium detector. PierFrancesco Ulpiani and Dalila Onorati have analysed DINS (Deep Inelastic Neutron Scattering) measurements on a polyethylene standard sample, while Alex Di Giulio carried out a Monte Carlo neutron transport simulation of the beam line. Dalila and Alex had also a chance to present their work in two talks at the ISIS Molecular Spectroscopy Group meeting on May 17th– exciting times for Tor Vergata students! Locations: Rutherford Appleton Laboratory in the UK.